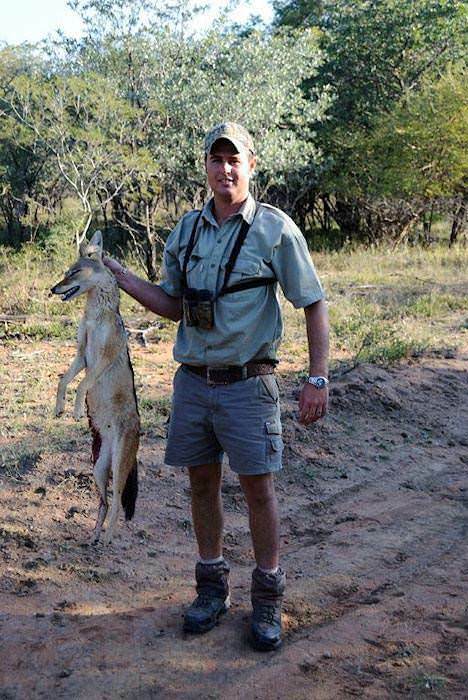 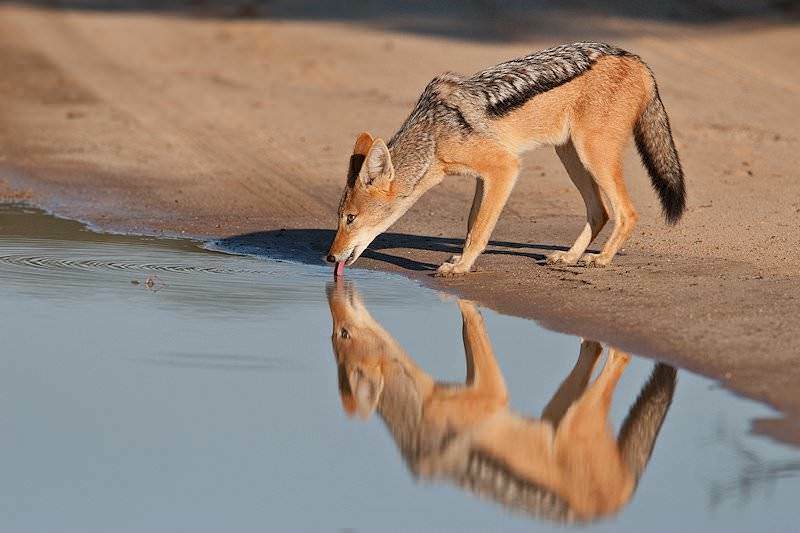 The black-backed jackal is a common animal that can be hunted all over South Africa. 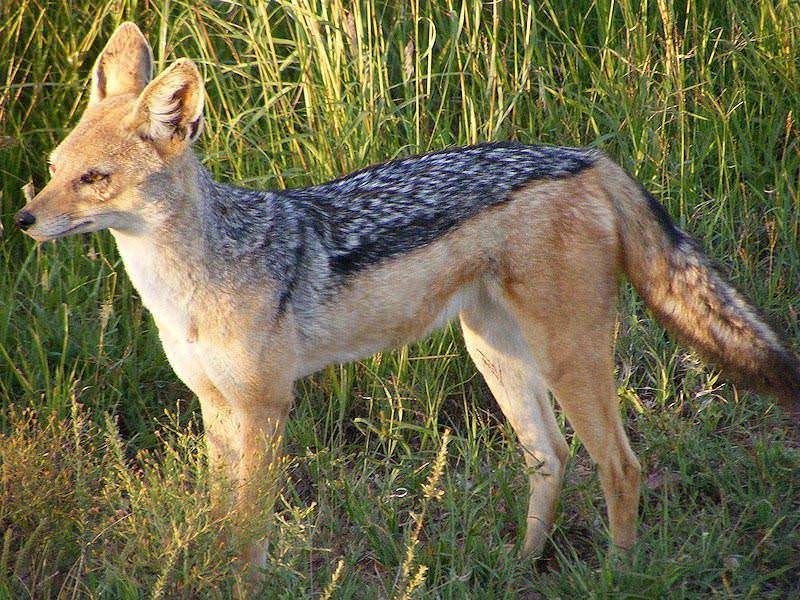 Two sub-species are notable; the black-backed jackal is most common and found throughout Southern Africa. 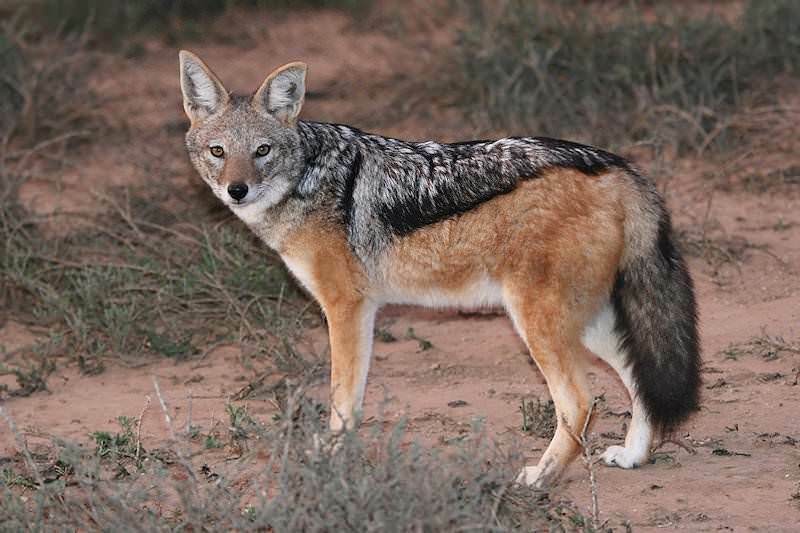 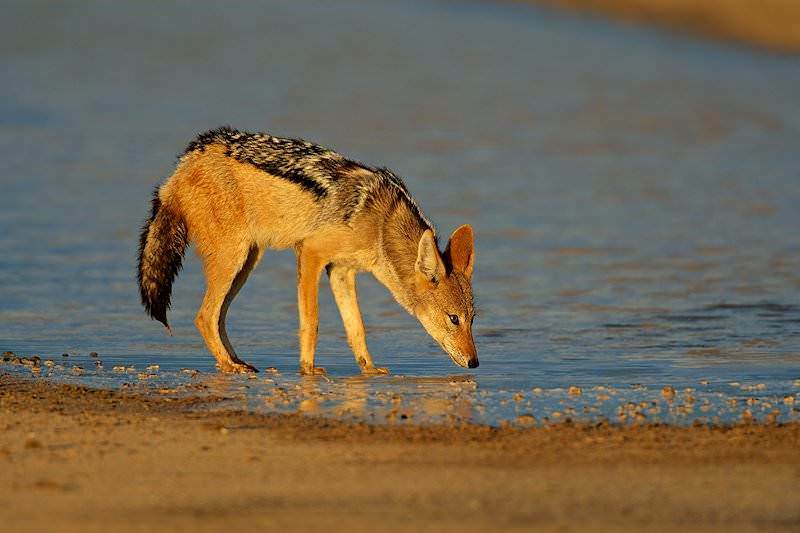 The side-striped jackal occurs mostly in the northern reaches of Namibia, Botswana, and parts of Zambia. 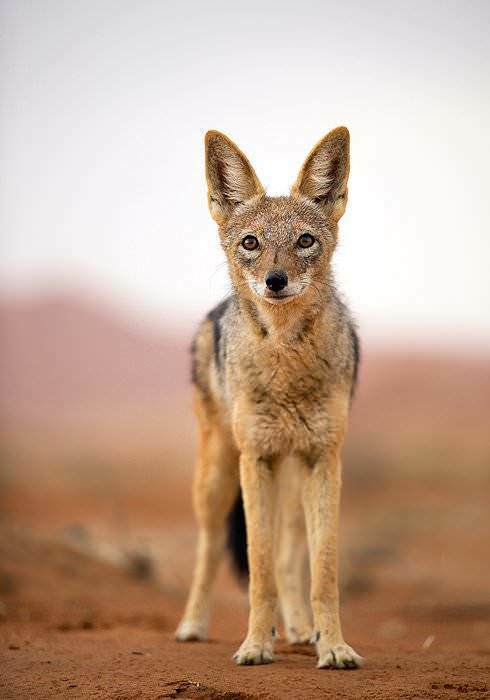 We will concentrate here on the habits of the black-backed jackal, but most of what is said can be applied to his cousin. 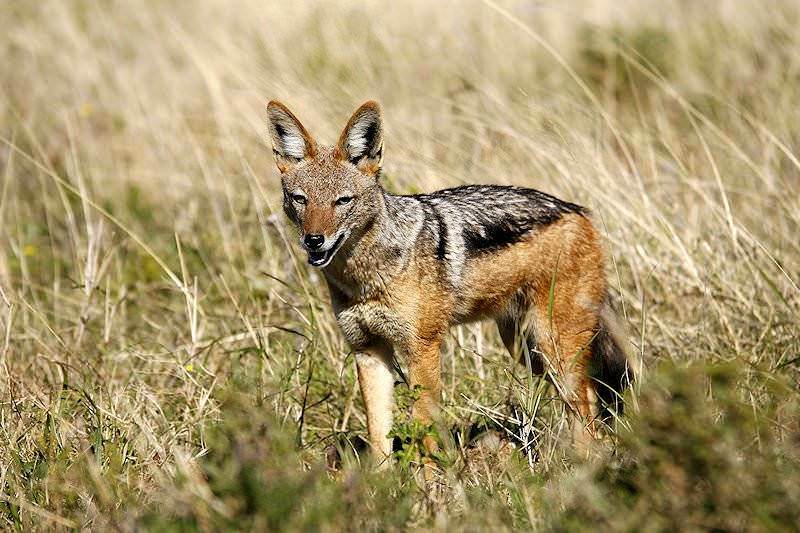 The black-backed is light reddish in color, which accounts for his Afrikaans name 'rooijakkals' (red jackal). 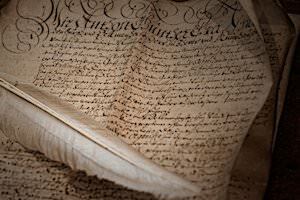 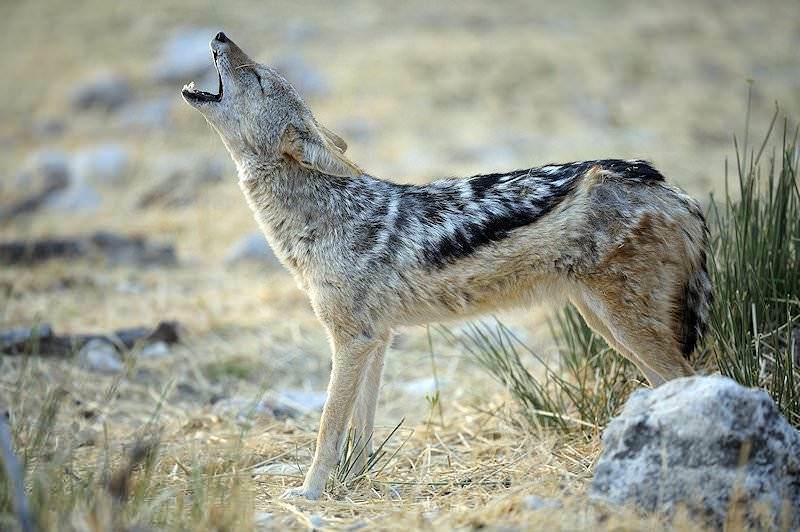 He sports a saddle of black on his back, accented with white speckles, and thus his title. 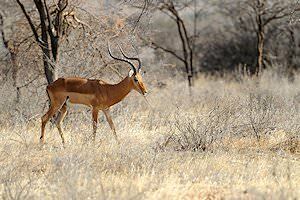 The only notable difference between the male and female is that males will tend to be slightly heavier. 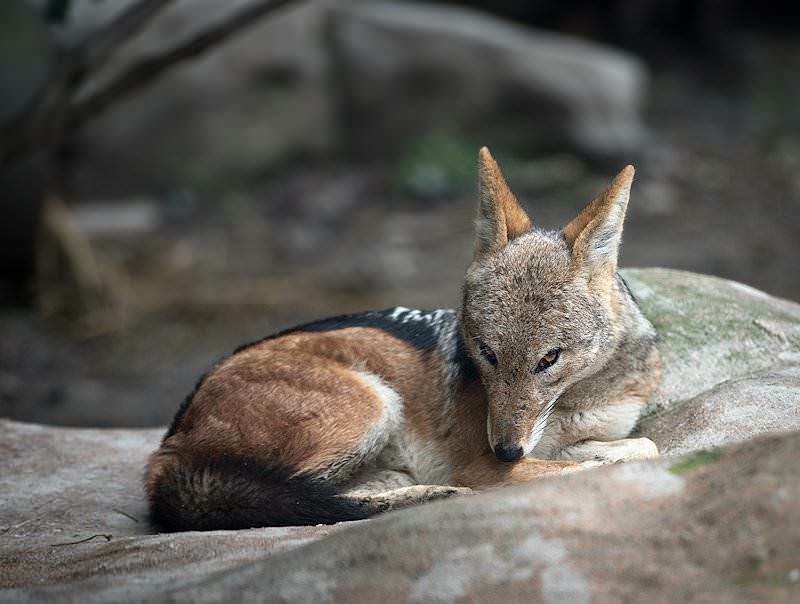 This accomplished little predator is much like the coyote of North America and is given about the same respect as his American counterpart is afforded. 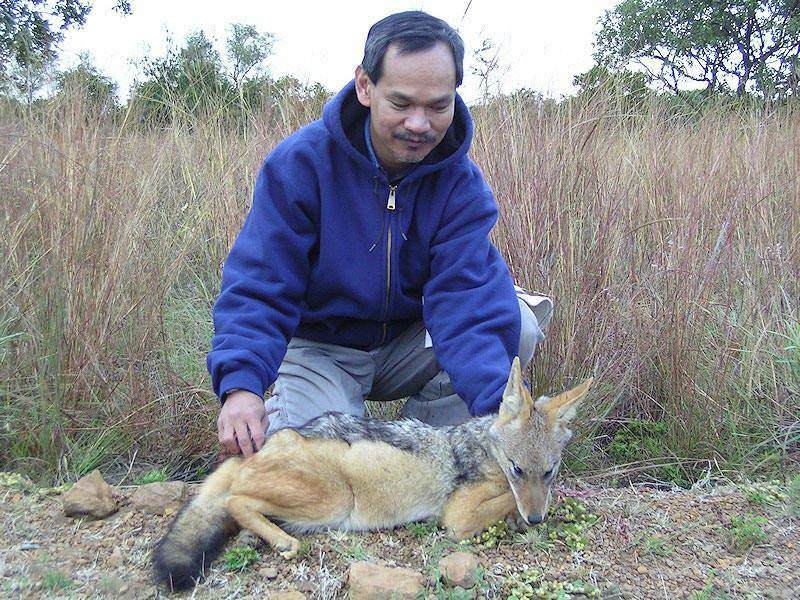 Farmers and ranchers alike are intent on driving his numbers down, as they prey relentlessly on young antelope. 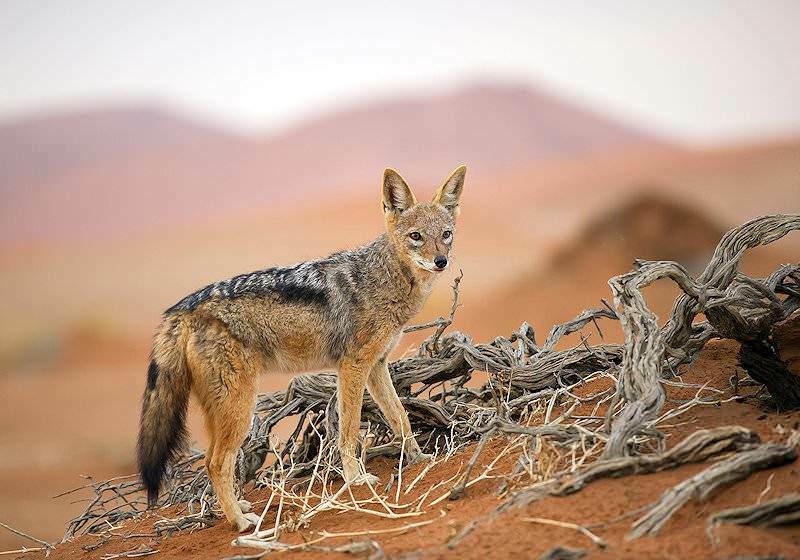 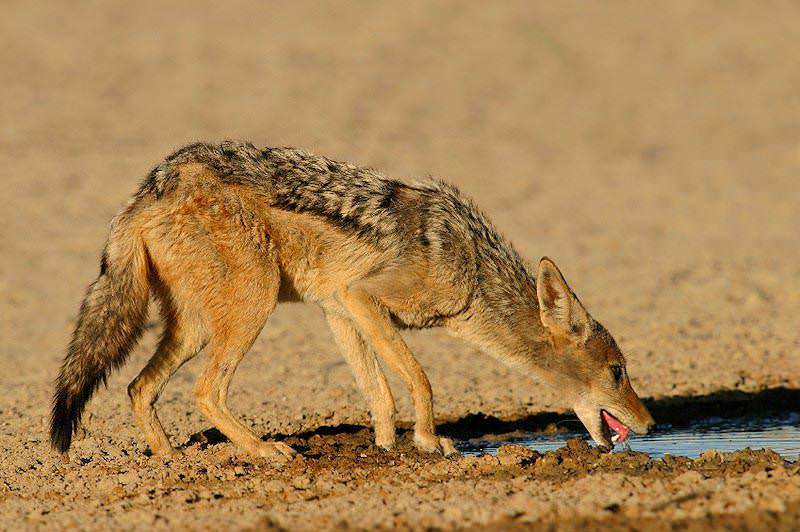 While the jackal prefers open, arid areas such as woodlands or grasslands with enough brush for cover, this canine can adapt to just about any habitat. 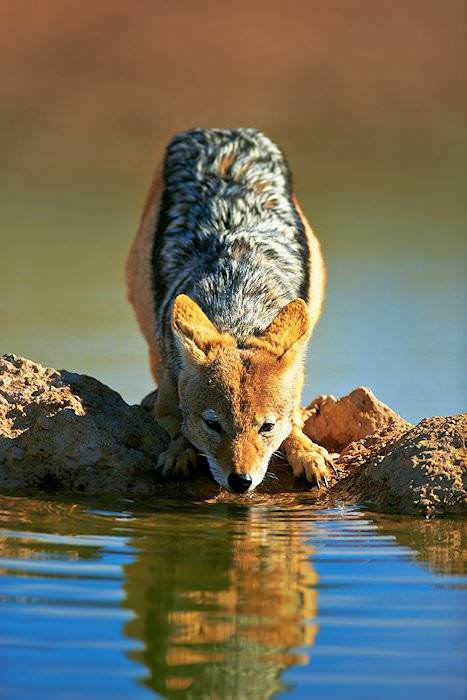 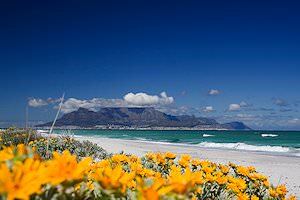 He is independent of water and usually solitary, although they do live in pairs and establish territories. 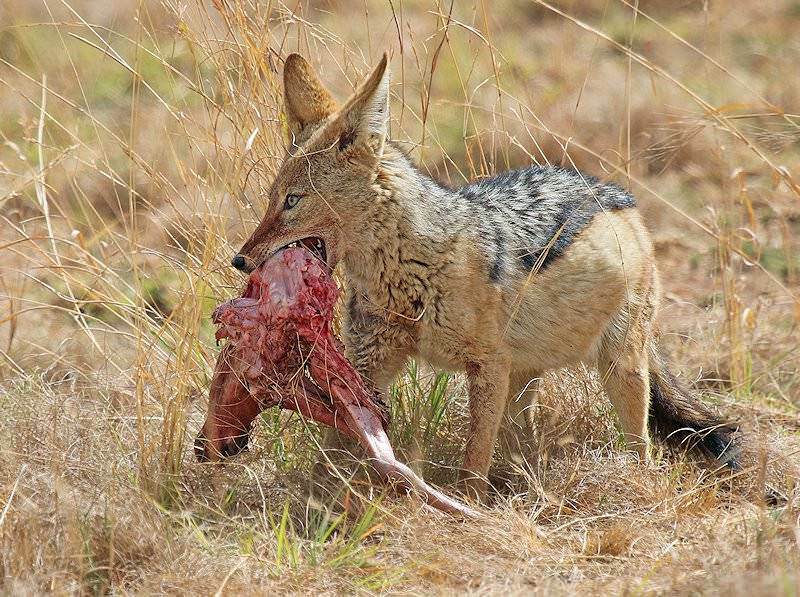 They scavenge carcasses and feed on lambs, mice, hares, larger insects and fruit. 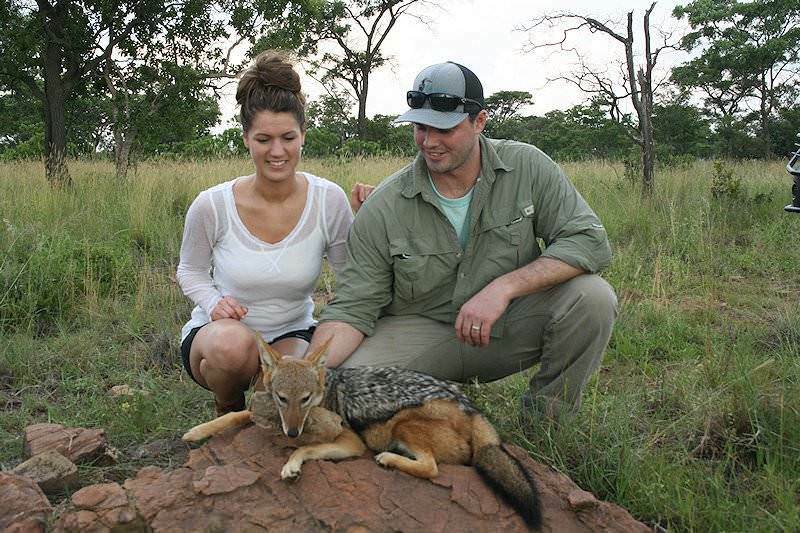 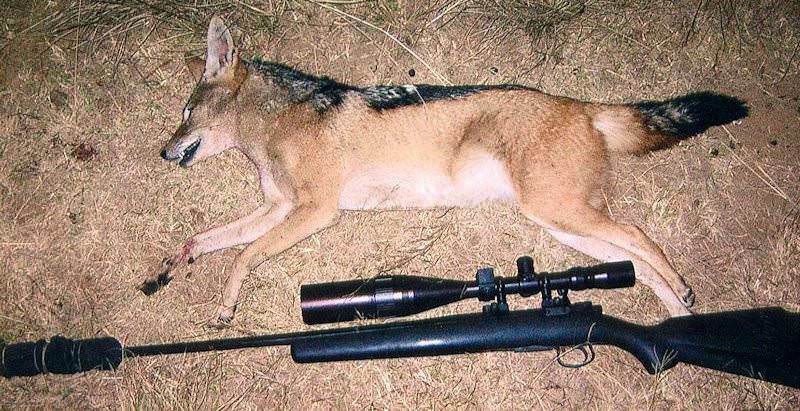 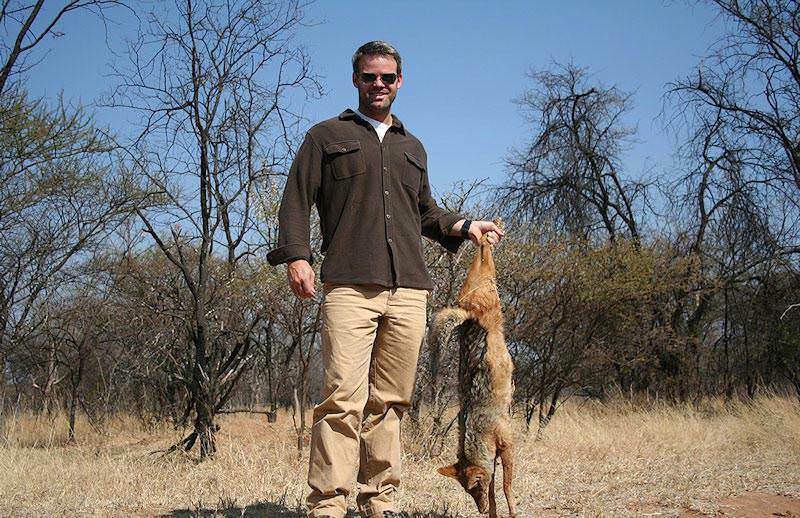 Hunting jackal is usually the product of a chance encounter while on the track of other game. 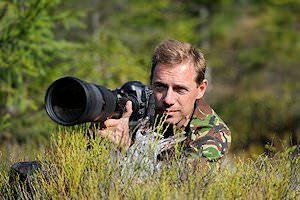 The rifle you have in your hand will be the right rifle - you will probably have only seconds to make up your mind and shoot. 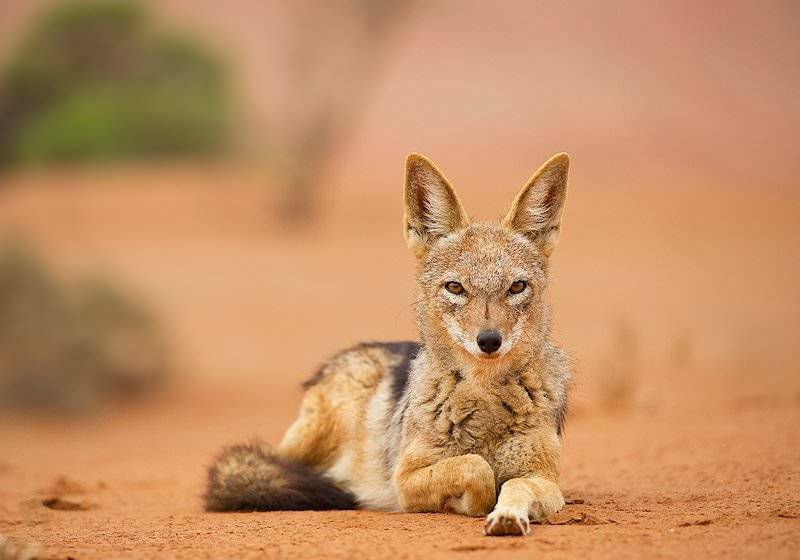 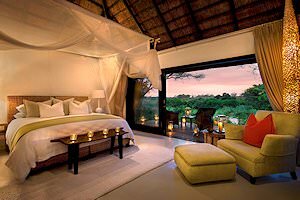 If your aim is to purposely hunt jackal, it will probably be a nighttime endeavor, complete with spotlights and predator calls. 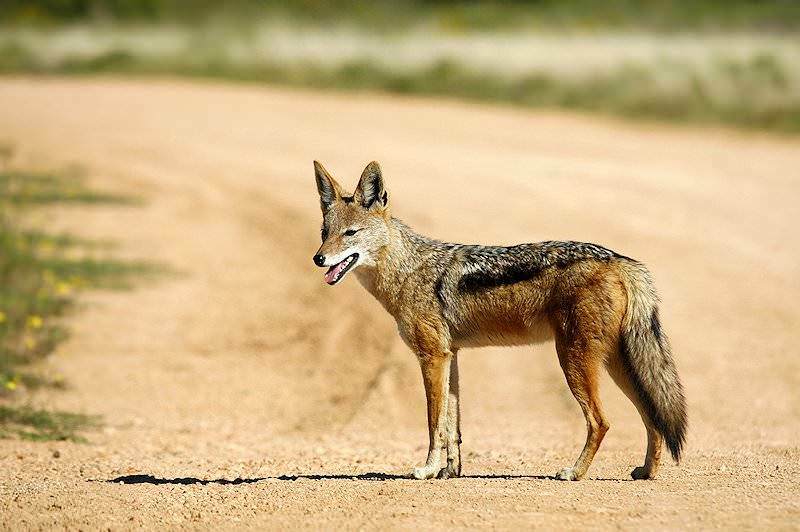 The rooijakkals is an extremely resilient little predator and, like his North American cousin, attempts to eradicate him are most likely futile. 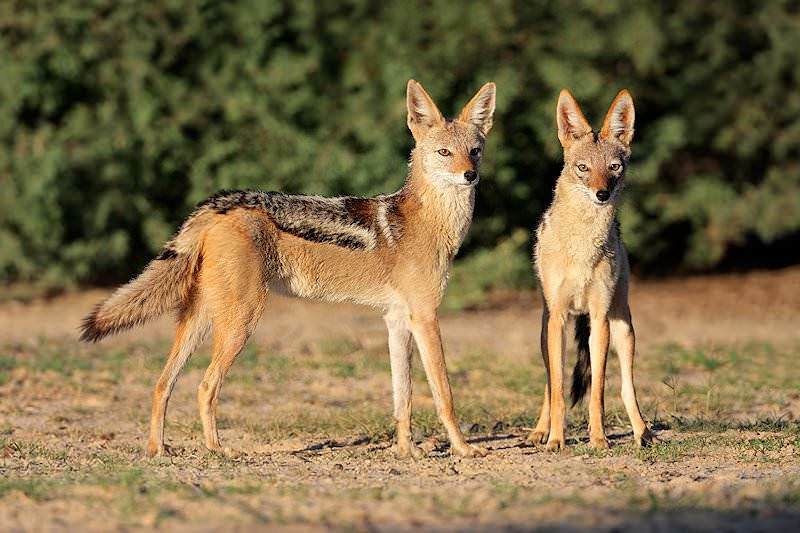 As his numbers are decreased significantly, he tends to produce larger litters to compensate. 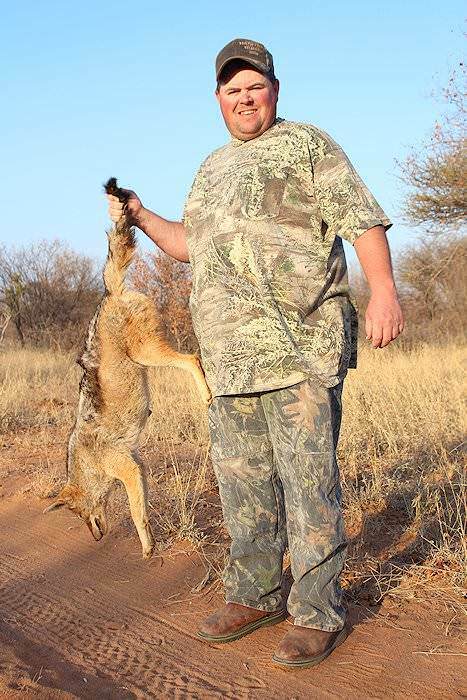 Hunting jackal can provide an excellent diversion and he can usually be counted upon to show up just when the other game seems to be getting scarce.